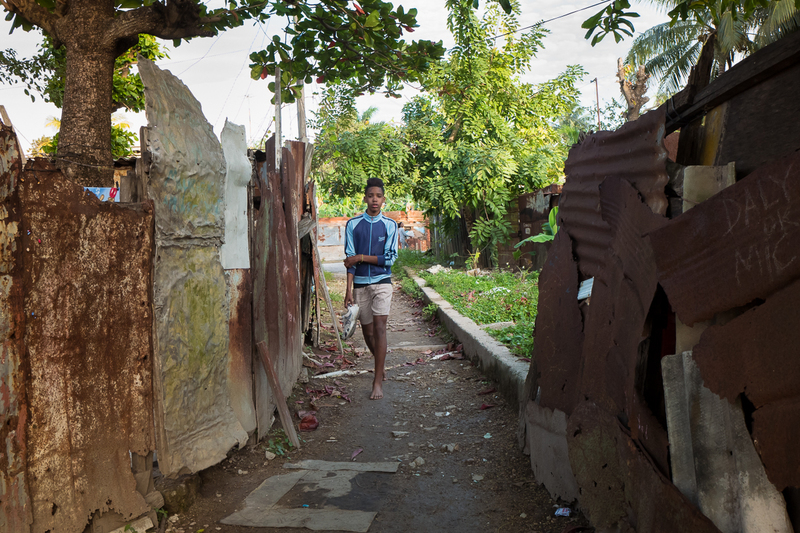 El Fanguito, Havana A teenage boy walks barefoot in the shanty town El Fanguito, located on the banks of the polluted river Almendares between the more affluent Vedado and Miramar neighborhoods. Economic reforms and warming relations with the United States give rise to concerns about the increasing inequality between rich and poor. Many people risk being left out of the promise of prosperity.